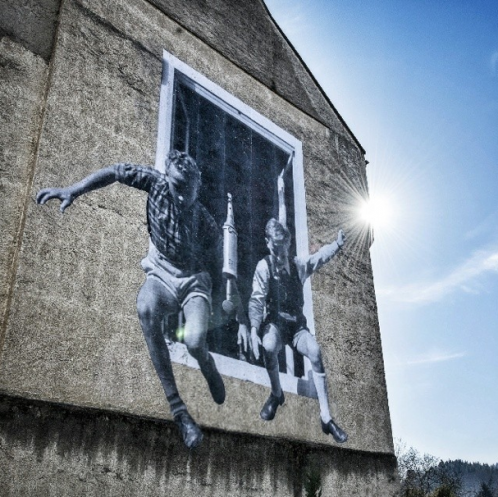 As a large-scale project in the city’s urban space, UNFRAMED BADEN-BADEN addresses German-French history and the friendship between the two countries. 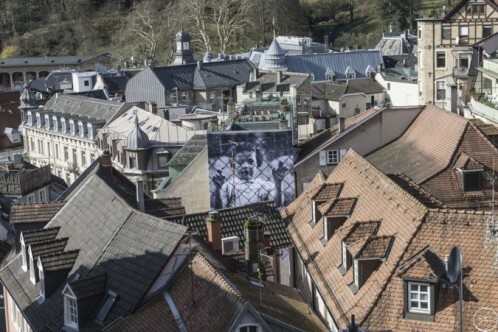 By putting up posters featuring historical photographs from people’s private photo albums in Baden-Baden’s historic city, JR places the theme in a new context. In the run-up to the exhibition, citizens of Baden-Baden were invited to participate and submit their own personal material. The city has always been a link between Germany and France where, after decades of enmity, the reluctant rapprochement between the two countries is palpable.